Making a statement in the Edinburgh International Conference Centre. The launch of a new vehicle is always a risky affair, even more so in the competitive luxury saloon segment. 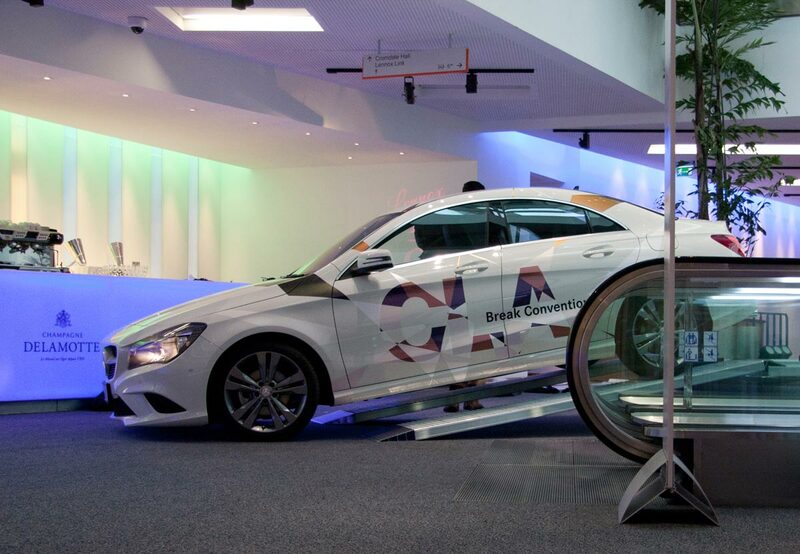 Mercedes-Benz of Edinburgh chose to make a bold statement with the launch of the new CLA-Class. It was decided to place the product for a 6 month stint on the EICC's newly fitted hanging plinth. This would showcase the CLA not only to the huge numbers using the Conference Centre but also to the the passing public as it hung behind the glass of the new Morrison Street extension. 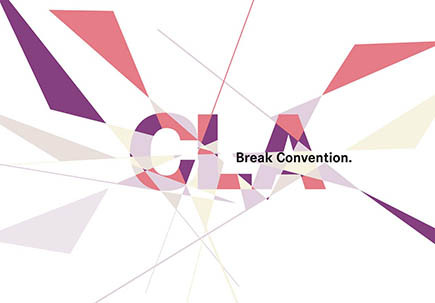 The "CLA" graphics were developed from the idea of shattering perceptions, breaking free from traditional models, and further enhanced with the strap-line "Break Convention". 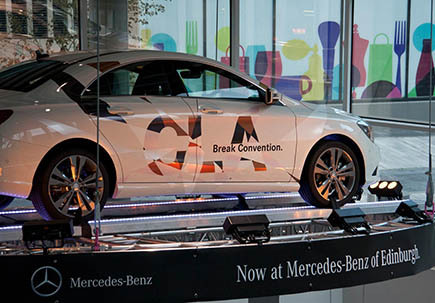 The graphics were applied to the car using special pearlescent vinyls that subtly change colour with the light, making good use of the EICC's lighting rig. 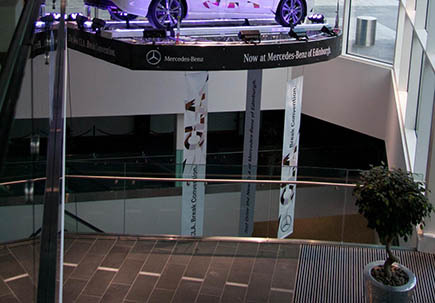 To further enhance the installation, the plinth was wrapped with Mercedes-Benz branding and drop banners were suspended underneath to provide context for viewers using the lower level spaces.